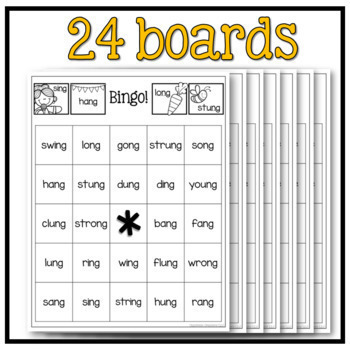 Glued Sounds (ing, ang, ong, ung) Bingo: Grab these 25 phonics based bingo boards! 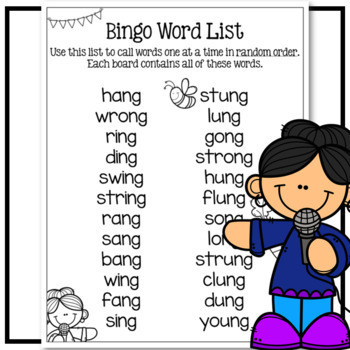 This is a perfect activity to practice 'chunking' word parts together. 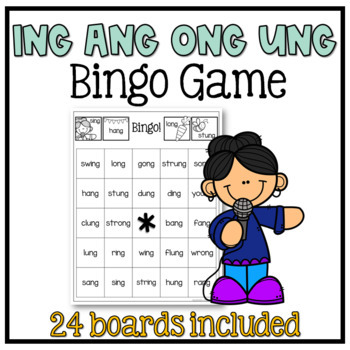 Students practice.... social skills, decoding strategies, phonics, word recognition, and following directions.